Business-to-business (B2B) marketing helps businesses save time, gain access to suppliers, increase sales, reduce costs and many other benefits. So, it can be an essential part of a business plan. 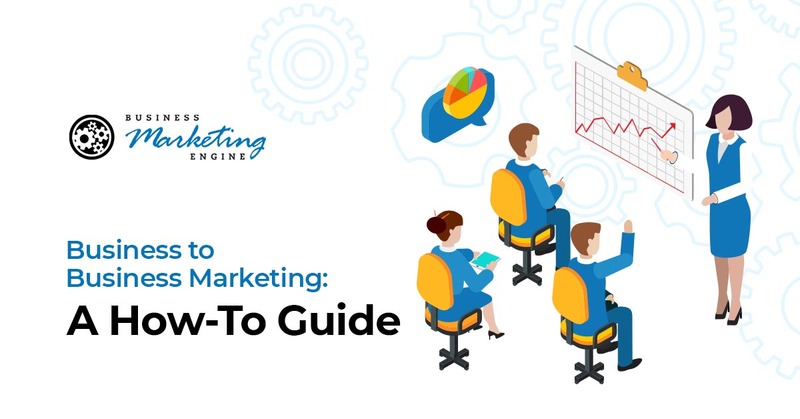 Here are some great guidelines for creating a B2B marketing plan and getting it off the ground. You need a plan to get your B2B marketing efforts off the ground. The road to success begins with a solid plan that you can follow. Creating a plan will allow you to qualify your decisions and give you a basis for measuring your goals and progress. Once your plan is set, you need to start your research. Leave no stone unturned. Research the marketplace, brand and scientific studies to start. The more research you can do means you can make more well-informed decisions. Your research results will also help you be able to make objective decisions based on facts rather than emotions. Plus, it will give you a valuable baseline by which you can measure your results. Good research will also help you learn more about your clients and gives you insight on how to serve them better. Not only will research help you gain insight into clients, but it will also help you understand yourself and your business better. It will help show you which aspects of your business are working and which ones need to be retooled. It will also show you the best products and services to offer your customer base. In B2B marketing, it is both possible and encouraged to continually define and redefine your target audience. You cannot market to everyone at the same time. So, you need to determine your core audience and focus on it. Everyone else should be on the second tier. To find your core audience, think about the buyer persona of your ideal customer and work from there. Create content that resonates with your ideal customer profile. The content you create will help to propel your marketing strategy. It will likely take some serious consideration to determine the exact situation of your target audience members, but the effort will be worth it. Knowing what they think and care about will help you determine the direction you need to take. Once you know and understand the niche market you are trying to reach, you can be the specialist they are looking for. Make your website an asset for your business. Go beyond having it be more than a digital billboard and turn it into the hub of your online presence. Create or revamp your website to make it an information-rich center that shows your expertise in your industry. Make sure your website increases your visibility to potential clients. The best way to attract your target audience to your high-performance website is to improve your SEO efforts. Use targeted keywords and phrases that communicate your key concepts that matter to your audience. They should focus mostly on your services and expertise. Do not forget about the importance of having links that lead to your website. They should come from outside engagement or guest articles on other websites. These articles will help to increase your site’s authority and establish you as an industry leader. As you gain more links from high-authority websites, your business will be seen as more credible and will rank higher. Social media is not going anywhere, so you may as well use it to your advantage. Most buyers check out new products and services through social media platforms, so it has become a common source of providing valuable information. In fact, it is used more than formal referrals and recommendations. Not only can social media help you expand the reach of your reputation, content and expertise, but it can do it at a faster rate. You can also use your social media accounts to monitor your brand through social listening, gain valuable leads and increase your network so you can connect with valuable contacts. By combining referral marketing with the rest of the strategies on this list, you can build a brand that has a reputation that spreads far. It can help you expand your reach and help you connect with audiences with which you have not yet worked. The better brand recognition will help you get more referrals and new business. If you want to learn more about business-to-business marketing and how it can help your business, contact Business Marketing Engine today. We can help get you going in the right direction.